While I was at the Museum of Witchcraft and Magic in Boscastle, Cornwall, for its annual conference and having a look at the exhibition Poppets, Pins and Power, I donated two of my books to the library. 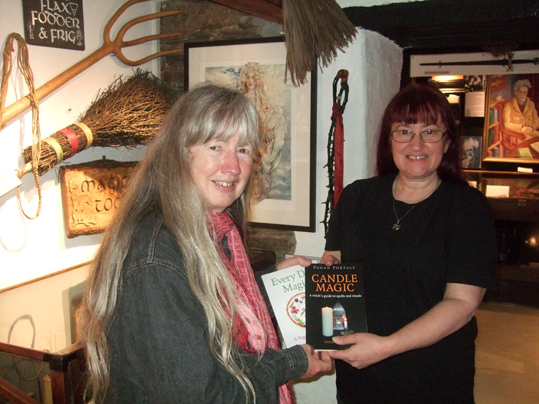 Here is a photo of me handing over copies of Pagan Portals Candle Magic and Every Day Magic to museum manager Joyce Froome. I also hope to return to the museum soon and do some research in the library for my next book, which I'm currently working on.